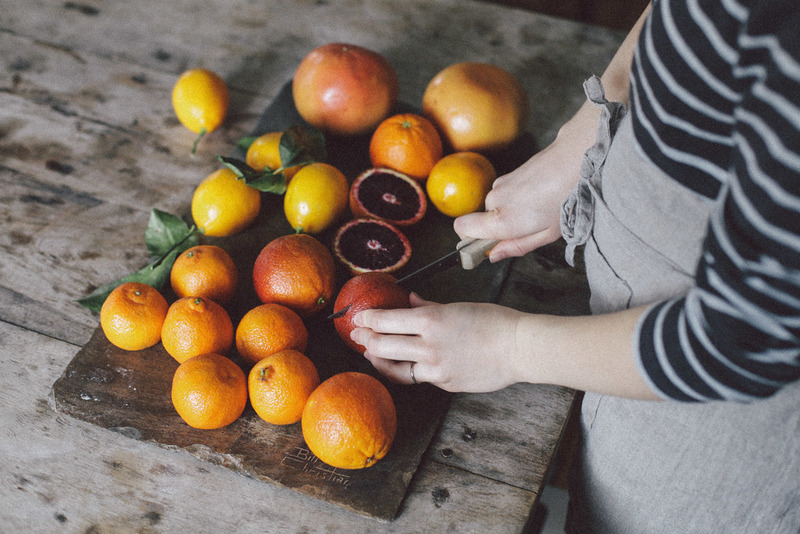 Winter is my favorite season for many reasons, but one of the biggest reasons for this deep love of winter is Blood Oranges. Picking up 6 of these beauties from the market yesterday for my morning in A Daily Something's kitchen, I am reminded of one of my trips to San Francisco two years ago. Romping around the city with my best friends, I picked up a bag of a dozen of the most perfect blood oranges from Bi-Rite Market near Dolores Park. A dozen blood oranges... They lasted no more than 36 hours. I took the bag of citrus with me down the coast to Big Sur and back up the coast to SF. I took pictures of the different oranges as I ate them to compare their colors and we listened to music and sang along to some of our favorite Britpop songs on the ride. I think I ate enough citrus that winter to keep my immune system elevated for years to come. Well, atleast I like to hope so. Being back in the kitchen with Rebecca yesterday was such a treat. This time, we planned to recipe test some breakfast foods that we loved. I brought $30 worth of citrus and Rebecca planned to supply the makings of a very serious breakfast sandwich. 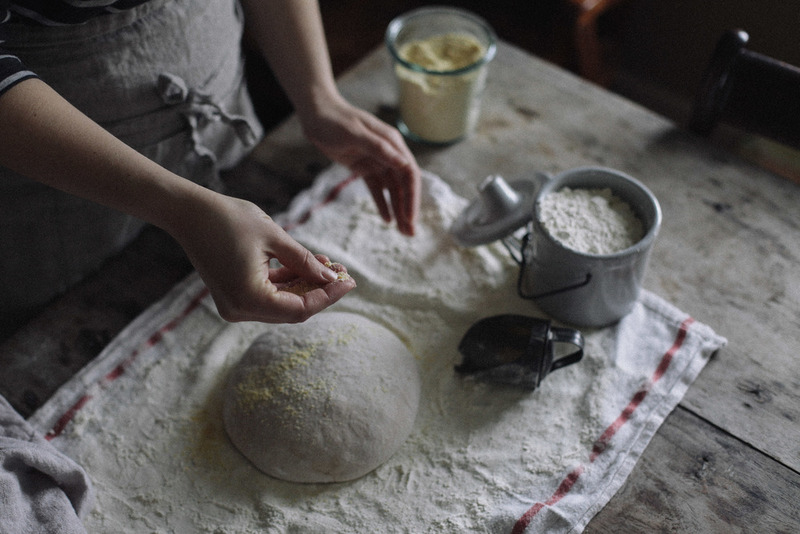 We've taken it upon ourselves to make a ritual of this; Mondays in Rebecca's kitchen, recipe testing and taking photos. These moments in the kitchen are so meaningful because the most excitement is never in the end result, it's always in the process: the joyful squeal from Rebecca over the beautiful colors of the grapefruit, lemons, clementines and blood oranges; the aroma of the leeks as they sauté in the cast iron skillet; the perfect crunching sound of the bread as the first slices are cut; the endless cups of coffee enjoyed over conversation as we wait for food to come out of the oven. These moments made the food even more delicious and are so good for the soul. I apologize in advance (except... not really) for the copious amount of citrus photos that follow. - Half the fruits and place fruits on baking sheet lined with parchment paper. - Sprinkle sugar (to your liking) on tops of citrus. 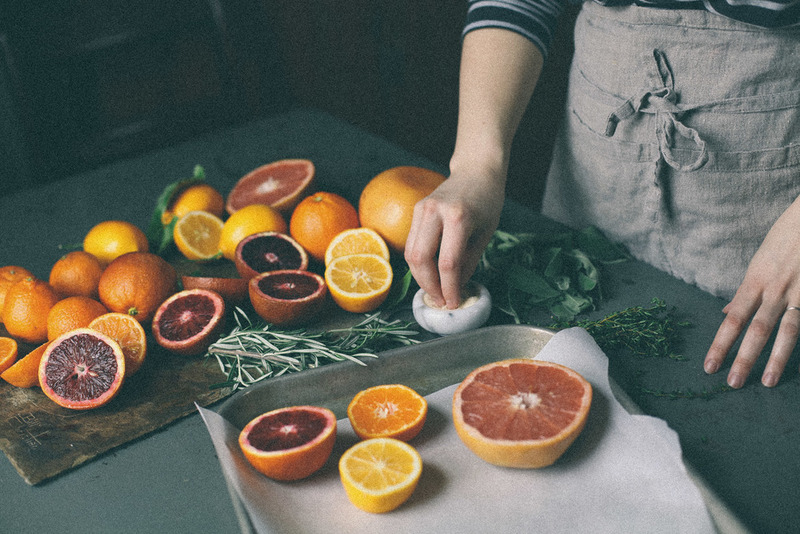 - Top citrus halves with fresh herbs. - Broil in oven for up to 10 minutes, or until edges brown/blacken. - Remove from oven and drizzle with honey or maple syrup. 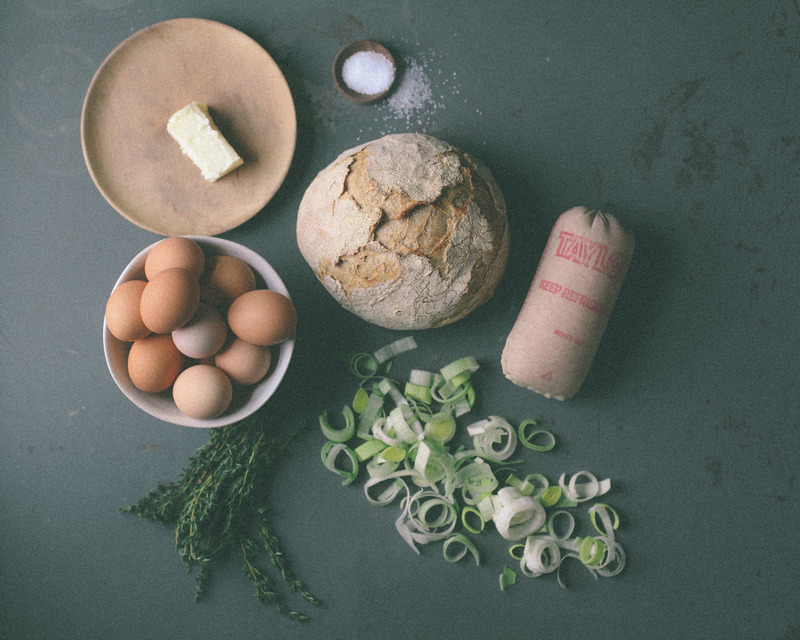 Rebecca of A Daily Something will have the recipe for the breakfast sandwich on her blog today. Made with fresh, from-scratch bread prepared in a dutch oven, we piled the sandwiches high with so many yummy things. I hope that you are able to recreate our breakfast for yourself and your loved ones! It was so delicious and flavorful. Going forward, Rebecca and I hope to share more Monday recipes with you on our blogs. To prevent repetition, she will post a recipe and I'll post one. We hope you stay tuned! Food/prop styling by Rebecca Gallop. All photos by Joy Jaynes.